You'll be £12.99 closer to your next £10.00 credit when you purchase The Battle of Jutland. What's this? Order within the next 7 hours, 8 minutes to get your order processed the next working day! 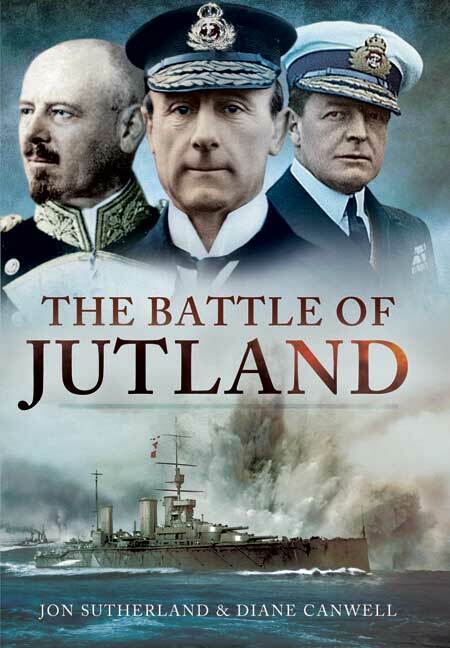 The Battle of Jutland was the greatest naval engagement of the First World War, if not any war. The events leading up to the battle gave the indication that it would be a major British naval victory. But as it would transpire the results were a lot less clearcut. It had been the German vessels that had soured relations between Britain and Germany, but in the end the fleet had proved inadequate. Whilst the Germans claimed a victory, in Britain, Jutland was celebrated as another Trafalgar. Detailing the account of this colossal sea battle, the authors draw on official reports and despatches, as well as notable accounts by those such as Rudyard Kipling. The battle is placed in its context in the war and the opposing fleets and commanders are examined. The initial German plan and the British response provided the catalyst for the engagement and the battle cruiser and fleet action is examined in detail, drawing on eyewitness accounts. The five distinct phases of the battle began with the first encounter between the opposing battle cruisers. The second phase saw the Germans pursuing what they believed to be the British fleet. Then suddenly they came under heavy bombardment from the British main fleet under Jellicoe. After Admiral Scheer failed to escape into the Baltic, the final phase was fought with the Germans in full retreat. The book analyses the damage assessment on both sides and their true losses. A full order of battle is provided, with many illustrations of the key commanders. An extensive bibliography and reference section supports the work. This book provides a simple brief overview of the battle for the layman in four relatively short chapters. It provides a good summary and provides a useful introduction to further study. It includes discussion over 'Who won' and the 'Controversy' and is well supported by an appendix on the order of the battle and rather strangely has some forty-three pages of basic ship data embedded in chapter two rather than as a separate annex on the ships. It has a good selection of fifty photographs. The book contains a number of errors but nevertheless is recommended. Jonathan Sutherland and Diane Canwell have written widely on historical subjects, in particular on military and aviation history, and they have long been fascinated by the history of Norfolk and its military heritage. Among their many books are The RAF Air Sea Rescue Service 1918-1986, The Battle of Jutland and Air War Malta.